Cross and Cutlass: Consider the ant, you sluggard!! 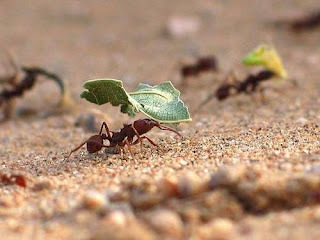 Consider the ant, you sluggard!! 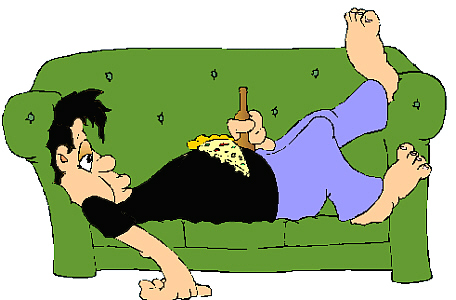 Did you know that the Bible has more to say on laziness than drunkenness? Yet, how often are we quick to judge someone when they've had a bit too much to drink, but neglect to chastise another person who sits around all day and does nothing? Laziness is a pervasive, insidious disease in our society, one that seems to be growing in leaps and bounds. No one seems to want to work hard anymore. They want the easy life, the easy job that doesn't require much of them, the cushy couch and big screen TV and fancy vacations, but work?? Don't make me work too hard!! It's not fair! Without getting political, let me just say that the more our government tends toward socialism, the lazier people become. I mean, why should you work if you can fill out some paperwork and get government assistance? The number of Americans receiving food stamps, for instance, in 1969 was roughly 3 million. Today we have over 45 million. Do some of these people need food stamps to survive? Absolutely. I'm not against Food stamps. I know they really help some people. They succeed where the Christian church has failed in this country, but that's another topic. I guess what I'm trying to say is that humans are inherently lazy and when you offer them free stuff, it brings out that laziness even more. Just like a spoiled child, they will become dependent on freebies and never learn to work. We, who follow Christ should make a special effort against our own laziness. Both in our work for His Kingdom, and in our own personal work. Many people claim that the early Christian church was a socialist organization because they divided all their goods among everyone so that not one of them was in need. This is true. They freely gave to each other, particularly those who couldn't provide for themselves, such as the lame and widowed. However, each believer cheerfully gave of his own free will, the government didn't force him to. The government didn't tax him and then use those taxes to help the poor. The believer did it himself, which is what I believe Christ expects of us and where we have failed in our society. In any case, Paul was quite clear on this matter. Worse than an unbeliever? Wow. Those are strong words. Paul wasn't speaking to people who couldn't work due to age or some physical deformity or mental issue. He wasn't speaking to people who were searching their hardest for work. He was speaking to people who wouldn't work when they were completely capable of working, OR/AND those who constantly made excuses not to work and who were eating the food of those who did work hard. So, work hard at whatever you do. Work hard at being a Christian. And guard yourself against Laziness. Amen, and, Amen ... to all that you shared. Love those verses from Prov 6: 6-11 ! Thanks so much for sharing these truths. Yes, "amen and amen! "; thanks for sharing. Great post! It is amazing at how fast we are horrified at some sins and then shrug off others. Oh, how quick our flesh is to rationalize our sin! Christ have mercy on us! “The believer did it himself, which is what I believe Christ expects of us and where we have failed in our society.” This I agree with 100% and it is something we need reminded of! We can never serve our neighbor as we are called to, but it doesn’t take away our responsibility to still serve, as imperfect as it is. And we need to look to Christ for forgiveness for our sinfulness and our lack of love to our neighbor. He forgives even this! Yes, indeed, Emma, He does forgive all our sins! Praise God for that! Because I fall short in so many areas.. especially serving my neighbor.